Fall 2016 and What's New? - - PAGE 406. FALL 2016 and What's New? · · PAGE 406. October 10, 2016: It has been long enough since my last web updates, I had to have some help from my web hosting company to get published again. The important news comes first about Hurricane Matthew and its near miss of the Melbourne, Florida area. That strong hangar with the wind sock still flying above it is why I chose the Rockledge Airport as the new home for Enterprise. The next three photos were taken on my visit to the airport to check on my airplane. It is still secure in the main hangar. 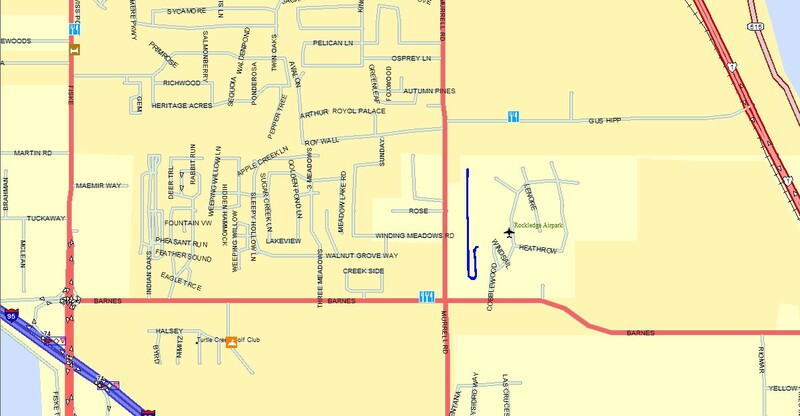 Bill Simmons (airport manager) had a mandatory evacuation order from his home on Merritt Island. I last spoke with him as he and his wife were passing through Commerce, Georgia heading for the mountains of North Carolina. He mentioned that he switched off the circuit breakers in the hangar as a precaution. Today is Columbus Day in the USA, and today marks FOUR years since I moved the airplane from Chickamauga, Georgia to Rockledge, Florida. I had a doctor's appointment this morning and it was a holiday from my day job. Since I was half way to the airport, I certainly would go there to get my battery minder up and running again. I found the correct circuit breaker and got power to the charger. The red light came on as it started to get the battery back to a full condition. I found Bill's car parked inside the hangar ahead of my airplane and adjacent to an Aventura II amphibian. Everything inside the hangar was normal. I did not see any signs of a leak in the roof ( no puddles on the floor ). The area in front of the ramp is in good shape and the grass or sod looks good as you can see below. 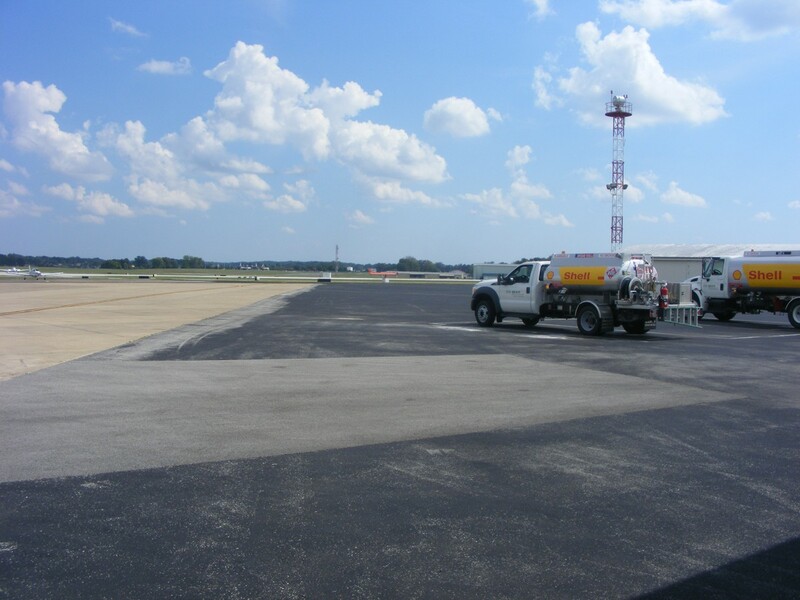 The paved taxiway to the south end of the runway is just as it should be. Nobody was flying today while I was on the property. I am not flying since I am still waiting for the FAA to process my special issuance medical certificate. My last phone call to Oklahoma City was September 27 and the word was it is in process. I keep checking my mail box every day for it to arrive. I met all the criteria and got a good letter from my cardiologist declaring me fit to fly. I checked my previous web page and see that I did not mention the call I had with the FAA in OKC from September 12. In that call I confirmed my paper work had cleared security for anthrax testing on the same day the clock ran out on receiving that paper work. As it turned out, my documents were delivered on August 25, but were not posted in the medical office until September 7, the same day the computer kicked out a nasty letter to me that arrived on Saturday, September 10. My call early on Monday the 12th revealed all these details. The letter included a prepaid return envelope demanding I surrender my medical certificate immediately. My cover letter in the documents they logged in on the 7th stated I do not have a current medical certificate. I mentioned that to the FAA customer service representative during the phone call on September 12. The documents they wanted were there ahead of time, but delayed by their slow procedures. I called again September 27 while I was on the road trip for my day job from September 24 to October 5. Now, about that road trip for my day job. The biggest engineering trade show for my industry was held in Philadelphia, Pennsylvania September 26-29, 2016 at the Pennsylvania Convention Center just one block from the Philadelphia City Hall. The hotels around there were booked up and if you could get a room, the lowest rate was $275 per night. I stayed at a Days Inn on US 1 about eight miles from the convention center. Parking across the street from the hall was $26 per day. My room rate and the daily parking were much better than paying the high room rate downtown if a room could be had. The SCTE Expo for 2016 was my usual reunion with old friends in the industry. I am getting to be one of the most senior guys in the industry. 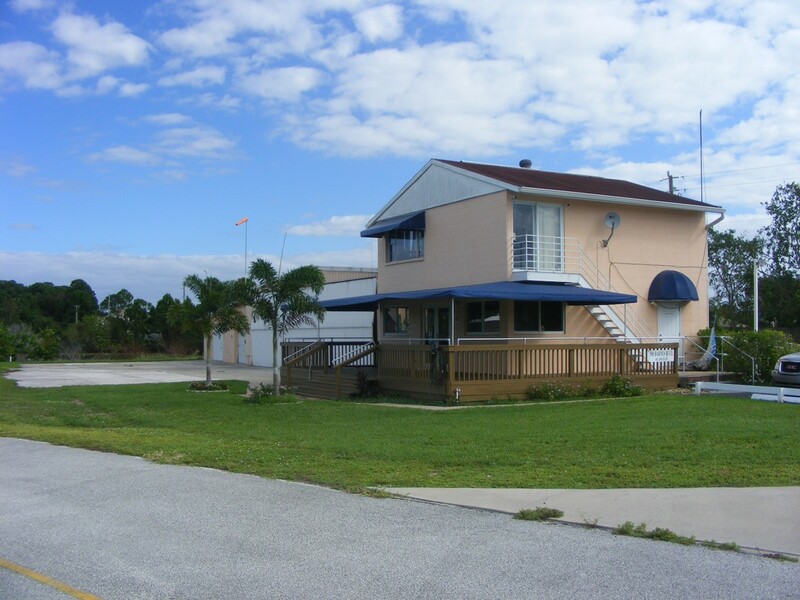 The trip started on Saturday with an 8:25 AM departure from Palm Bay on September 24th. I reached my home town of Dalton, Georgia at 6:05 PM for a friendly gathering of my 1965 high school class mates. Hot dogs, beans, and cole slaw were served to all in a typical southern style cookout at a farm near the county line East of Dalton. I was on the road again early the next morning with a breakfast stop in East Ridge, Tennessee at I-75 Exit ONE, about a mile from where I built my RV-9A. 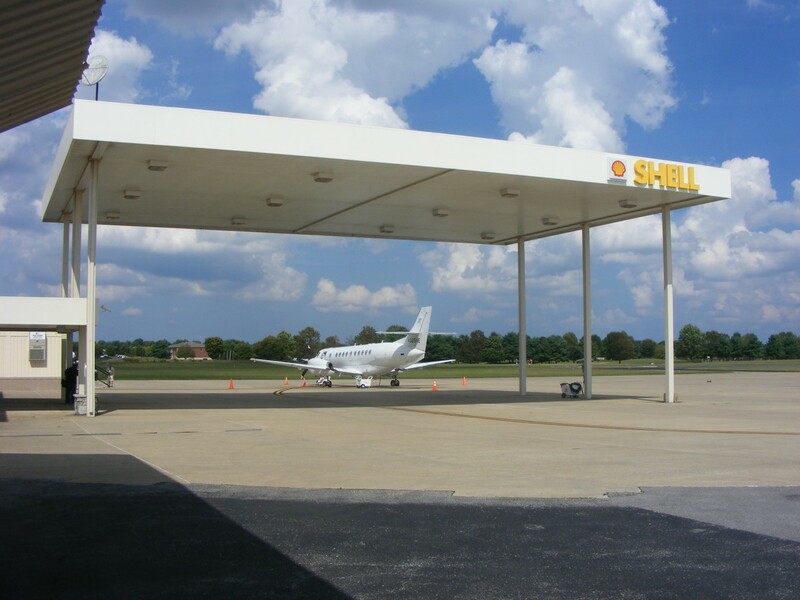 I headed north at 7 AM with a quick fuel stop near Cleveland, Tennessee. I stopped at a Wal-Mart at Athens, Tennessee to pick up a few items, including fresh bananas to last a few days. Not all motels offer bananas as part of their free breakfast. I stopped in Wytheville, Virginia on US highway 11 just off Interstate 77 and Interstate 81 for the Sunday brunch buffet at Shoney's restaurant. Starting the road trip with a good balanced meal certainly helps. I made another fuel stop in Northern Virginia and got a Subway foot-long sandwich which made two meals. I always carry an insulated "cooler" bag with frozen water bottles to keep food items fresh. The other half of the sandwich was lunch the next day after I had made a Monday morning sales call in Carlisle, PA. That client was not exhibiting at the SCTE Expo and that was why I stopped to see them at their office. The SCTE trade show has three days of exhibits each year. The first day has a session from 1 to 6 PM, then 11 AM to 6 PM the second day, and 9 AM to 1 PM on the final day. Most of the business is done on the first and second day. The third day is a good time to meet up with other vendors to see what's new each year. I spent Friday morning at the home office of my largest stocking distributor. A desk and good Wi-Fi service is always welcome. My destination for that Friday was my son's home near York, PA. I had Friday night, Saturday, and Sunday morning to enjoy my visit with his family. I have some photos that are published in my family section of this web site. My grand daughters are growing up fast. My son has a weight training room set up in his basement. I had a chance to work with 15-pound dumb bells the way I did in phase 3 cardiac rehab in the fall of 2011. The road trip on Sunday began with a fuel stop in York, then a short ride to a mom & pop restaurant on US 30 about 16 miles west for a healthy lunch. I wanted to eat well when I did not have a customer meeting scheduled. The leisurely ride on US 30 instead of the Pennsylvania Turnpike was the first time I made the route WESTBOUND to Pittsburgh. The last time I went to Pittsburgh was in the 1980's on the way to Canada when I worked with a satellite receiver equipment company. This time I would meet a client just one block from Three Rivers Stadium for an early Monday morning one-hour meeting. I got fuel after getting off I-79 at US 422. I was at their Cleveland, Ohio office just after lunch at 1 PM, and in their Mansfield, Ohio office at 3:15 PM to finish the day with them at 5 PM. Fast food was the order of the day on the road. I ended the day in Louisville, Kentucky with a Tuesday morning meeting with a customer I had not seen in a few years. They had moved to a new office on the East side of town, a number of miles north from where I met them on my previous visit. I got fuel for the rental car before leaving Louisville. 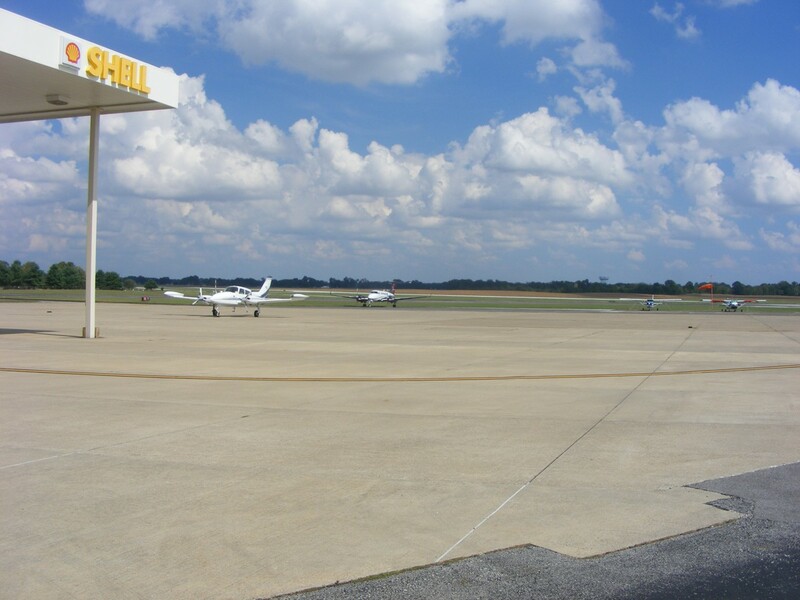 I had lunch near Bowling Green, Kentucky and time enough to stop at the airport that was the last stop for Jerrie Mock on her record-setting around the world flight in 1964. The two employees I spoke with knew nothing of that foot note in history. 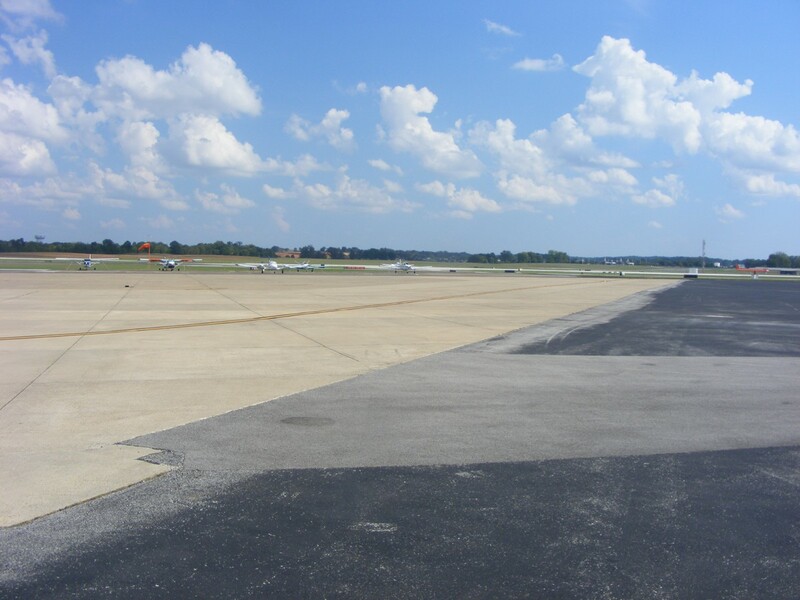 Here is the covered ramp at the Bowling Green Airport. I first saw it on Google Earth and wanted to get this photo when I was passing near the airport. That commuter airplane parked near the terminal is a BAE Jetstream model 41 turboprop that carries up to 29 passengers with flights to Atlanta. The passenger service just started in August 2016. Here are three more photos to show the rest of the ramp at Bowling Green. My next stop for a client meeting Tuesday afternoon was in Nashville, Tennessee a bit further down Interstate 65. I stopped for dinner just north of Birmingham, Alabama. That stop let me miss the rush hour traffic. I stopped for fuel on the south side of Montgomery, Alabama and spent the night at Greenville, Alabama. October 5, 2016: The sky was clear blue with a bit of chill in the air on Wednesday morning. I stopped to see an old friend about 30 miles away on US 331 from my motel, which was also part of the direct route back home to Florida. By lunch time, I was passing through Samson, Alabama when I had the remaining half of yesterday's Subway sandwich. I hoped to be home by 7 PM in advance of the approaching hurricane. My wife asked me to stop along the way to get some bottled water, and some D-cell batteries in case of a prolonged power outage as a result of the storm. By the time I stopped at two different locations to get those hurricane supplies, got fuel and dinner, it would be 10 PM when I returned home. 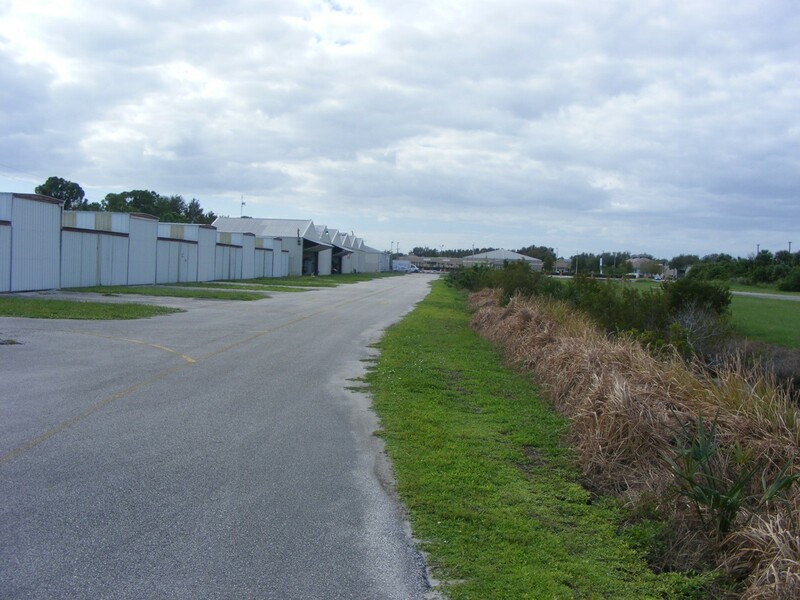 One of the stops I made was in Lake City, Florida near I-75 and I-10 in north Florida. I noticed about 20 power company line trucks from out of state parked in front of Lowe's. They were far enough inland to avoid the effects of the hurricane, and they were near two major interstate highways to get them where they might be needed. It was raining when I passed through the Jacksonville area, but it was not related to the hurricane. A weather front had come down from the north and brought the cooler weather I mentioned in Alabama. In this part of Florida, the Gulf moisture and the cooler air produced an overcast cloud layer that covered northeast Florida. The rain ended by the time I got to Daytona Beach on I-95 and it was clear all the way to Melbourne. I unpacked the rental car when I got home in case I could return it to Avis before the storm. Their office was closed and shuttered Thursday morning. Details about the effects of the hurricane at my home are found beginning on this WEB PAGE. October 23, 2016: I have been outside this COOL Sunday morning as a real weather front from the north has proved SUMMER in Florida is almost over. I was doing some cleanup in the yard and blowing away leaves and other remnants from Hurricane Matthew. I made a short visit to the Rockledge Airport yesterday and met with Bill, the FBO manager. He brought me up to date on the recent legal issues from last year's airport closure. I was comparing my aircraft log book with my pilot log book and had forgotten how long the airport was closed. I was reading my posted pages from last year to refresh my memory of the details of what I was doing when I was not flying during the airport closure. My annual inspection was delayed last year as a result of the airport closure. I was expecting to do the annual inspection this month, but it is not due until January 2017. Now if the FAA in OKC would get my medical paperwork processed, I will get back in the air again. November 6, 2016: It is Sunday and the day I usually update the web site. I went up to the airport yesterday to make some changes in the power wiring inside my instrument panel. I discovered an issue about my Dynon D-10A during my previous visit there a few weeks ago. Since I have not been flying the airplane or running the engine much in the past few months, the Dynon internal battery pack was discharged below 10 volts DC. I dug out the box with all my documents about the airplane electronics and wiring interface plugs to the instrument panel. In the beginning, the Dynon keep alive circuit on pin 2 of the DBM-25 interface plug had been connected. The DC voltage on this pin keeps the Dynon internal battery voltage at 16 volts DC when it is fully charged. The charger circuit inside the D-10A is a DC to DC inverter since the unit can operate with input power from 10 to 30 volts DC. My airplane has a 12 volt power system. Yesterday when I was testing the unit before and after restoring the keep alive power connection. I saw the D-10A display screen flickering when the unit was first turned on. I could see the internal battery voltage was at 10 volts and as the voltage went higher, the screen flicker faded away. By the end of my time at the airport, I checked the internal battery voltage and it was up to just over 15 volts. The RED LED indicator on my battery minder charger was illuminated indicating BOTH batteries in the airplane were not yet up to full charge Both batteries must reach full charge to turn on the GREEN LED on the main charger. If my battery charger is not connected, the Dynon will see the decreasing voltage on the internal battery and start draining the main 12-volt battery. I checked with the FAA medical branch on Friday, November 4, 2016 and my paper work is still pending review. About Jerrie Mock: I received an email on October 31, 2016 from a reader of this web site about my Jerrie Mock Google Earth flights. He bought a copy of her book on Amazon and wants to have more contact with me after he has read the entire book. I hope to have a conversation via Skype with him soon. The text from that email is posted on the Jerrie Mock menu page via this link. November 10, 2016: The election is over with television advertising returned to normal. My mailbox is not getting any political junk mail. There is no joy in Mudville. It was rigged since the candidate who got the MOST VOTES did not win. This happened in the Presidential election from the year 2000. Now we shall discover if the "acting" is over and who is really behind the curtain. The news organizations will keep us informed. I called the FAA medical branch and confirmed my medical information has not been reviewed yet. It was good that I called today since all US government offices and the post office are closed tomorrow, Veteran's Day in the USA. November 12, 2016: Saturday again brings me to the airport to check on the status of the battery inside the Dynon D-10A and the main battery of my airplane. I found the charger light was GREEN indicating both batteries were in trickle charge mode. I pulled the airplane from the hangar and cleaned the windshield. I took the time to take the obligatory photo on the ramp. I was preparing the image to be published this morning (Sunday) and discovered that the picture was "fogged" from a dirty polarizing filter in front of my camera lens. The filter has been cleaned on both sides of the glass and is ready for use. Here is the photo, smear and all. It has been three months since I last ran the engine back on August 13, 2016. It was the same routine today, get the oil circulating using the starter, then use the electric fuel pump and primer ports to get ready for engine start. With the engine running in front of the hangar, I watched the engine monitor to see the normal readings as the engine warmed up to get the oil temperature above 120 degrees F. I taxied down the paved route with a pause for the engine tests at 1800 RPM. I also cycled the propeller a couple of times to get oil going to all the normal places. I taxied down the runway with a maximum indicated air speed of 50 MPH to be sure the airplane would stay on the ground. I turned around at the north end of the runway and repeated the procedure. 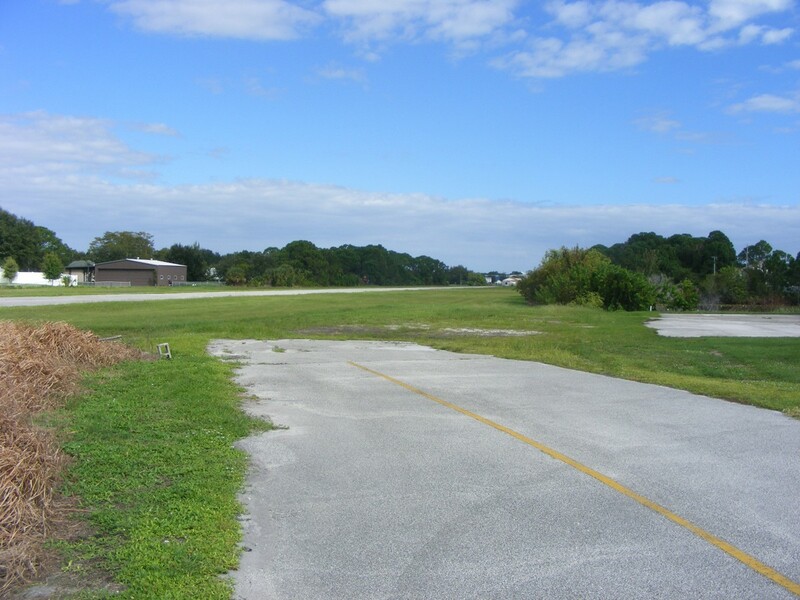 As I pulled on to the paved taxiway, an RV-8 owner waved to me from his open hangar. I stopped the engine and motioned for him to come over. We had a nice talk about Van's airplanes and the difference in my wing and his aerobatic wings on the RV-8. Another pilot who flies an Extra 300 aerobatic airplane came out at the same time. He joined the conversation as both of them asked questions about my experience building my airplane. I referred them to this web site for more details. The engine run time today was again only 0.2 hours as it was on August 13. The cylinder head temps got above 300 degrees before I shut the airplane down at the hangar door. I finished cleaning the sliding canopy and checked the Dynon battery voltage to see it was above 16 volts DC. When the charger was plugged into the airplane, the RED LED was on as it began topping off the main battery. The engine monitor indicated 14 volts on the battery before I used the starter the first time today. The voltage and current from the alternator put the battery in a more normal range of 13.6 volts typical for a fully-charged lead-acid battery like my sealed Odyssey battery. The next update to this page hopefully is the arrival of a new medical certificate from the FAA Oklahoma City office. I will keep you posted. November 24, 2016 is Thanksgiving Day in the USA. I called the FAA Oklahoma City office yesterday and yes, status unchanged. The weather here in the Melbourne, Florida area had a few cooler nights and the temps are back to around 80 degrees F. This part of the year is why they call this the "Sunshine State" on the license plates.